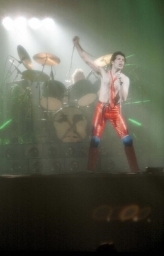 Queen experimented a bit with their setlists on this tour. They once again opened with Let Me Entertain You, as confirmed by numerous people who attended the show. The picture was submitted by Alessio Rizzitelli.